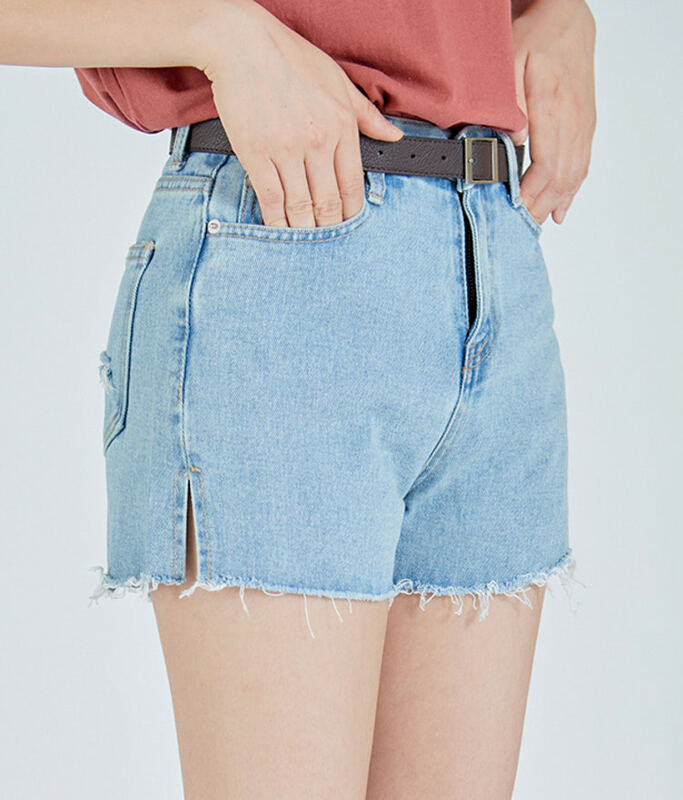 Present an eye-catching street vibe with these denim shorts. They come with basic belt loops, pockets, a button and fly closure, side slits, and raw hems. Team them with a beanie, a loose tee, and low-cut sneakers for a complete look.